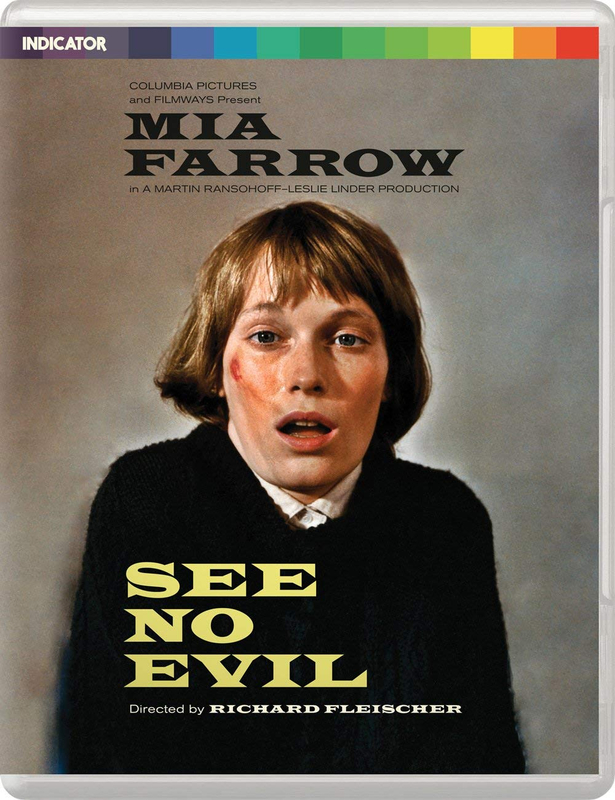 Recently blinded in a horse riding accident, young Sarah (Mia Farrow) returns to her uncle’s English country home, unaware that a psychopathic killer is stalking the family. This wonderfully creepy suspense-thriller from director Richard Fleischer (10 Rillington Place), from a script by British writer Brian Clemens (The Avengers, The Golden Voyage of Sinbad), features a note-perfect performance by Mia Farrow, and sterling support from a cast of formidable British character actors. Released in America as See No Evil and in the UK and Europe as Blind Terror (with subtle differences between the cuts), Indicator is delighted to present both versions of the film for the first time ever.